The main objective of Work Package (WP) 9 is to evaluate the 2007 ESC-EASD Guidelines on CVD prevention in diabetic patients. Coronary heart disease (CHD) death rates have been falling across most of Europe in recent decades. However, CHD remains the leading cause of mortality. Furthermore, the burden of CHD may be increasing due to a variety of factors including reductions in case-fatality (resulting in more CHD survivors and increasing prevalence), population ageing, and globalisation. There are also worrying signs that favourable risk factor trends (declines in smoking, blood pressure, and blood cholesterol) may be stalling and that at least in some countries CHD mortality in younger age groups has not declined or has declined more slowly in recent years. Data on regional trends and predictions are available but these may conceal important differences between populations. For all these reasons it is essential to assess the likely future trends in CHD mortality in a range of European populations. It is also important to quantify the potential impact of cost-effective, population wide policy interventions on future trends in the burden of disease. We performed these analyses using a well-known CHD model (IMPACT) which has been widely used to explain past trends in CHD mortality in many European countries. 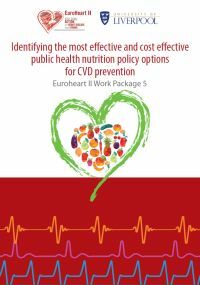 This report presents the findings of EuroHeart II Work Package 5, where the specific objective was “Identifying the most effective and cost-effective CVD prevention policies”. The project started in August 2011 and ended in February 2013. 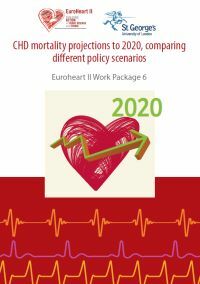 This work package was conducted in co-ordination with Work Package 4 (on reporting and analysing of data on CVD), and helped determine different policy scenarios for the work conducted in Work Package 6 on predicting future CVD trends under different policy scenarios in the EU. 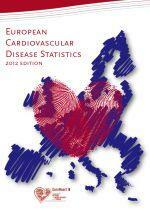 On 29 September 2012, the European Heart Network, the European Society of Cardiology and the Oxford University Health Promotion Research Group published the European Cardiovascular Disease Statistics 2012.